These meal prep ideas are a great way to eat healthy and only cook once for your entire week’s meals. It’s a great way to save money and prepare yourself so you can skip the fast food! I find when I’m prepared I stick to my goals better. The meal prep bowls featured in this post are all under 400 calories. You can add or subtract portions if you are looking for more or less. I love eating healthy and meal prep bowls always keep me on track. We love meal prep ideas here at MyMommyStyle. 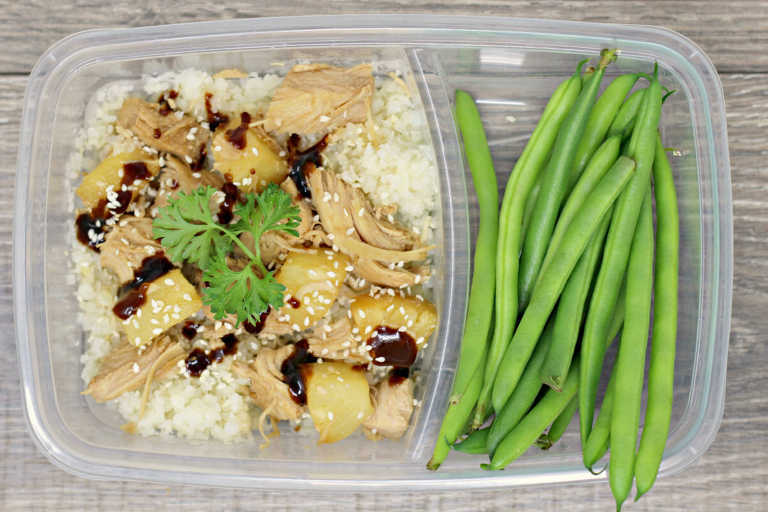 We have several posts and several recommendations for the types of meal prep bowl tupperware and glass that we use. Chicken Fajita meal prep bowls from Primavera Kitchen looks so satisfying! Mediterranean Chickpea Salad from Chelsea’s Messy Apron. I love the combinations of flavors in this meal prep idea. Healthy Baked Honey Mustard Chicken with Brussel Sprouts from Organize Yourself Skinny. This recipe is so simple, but yet looks so amazing. Cabbage Pork Dumplings from The Defined Dish would be an amazing meal prep idea to shake things up! Slow Cooker Turkey Chili from My Mommy Style is so easy to make a large batch and put into meal prep bowls for the week. Korean Beef Bowl Meal Prep from Damn Delicious looks so amazing (you may need to substitute cauliflower rice here to keep it under 400 calories). Taco Salad Meal Prep from Skinny Taste is so easy and looks great the next day! Thai Turkey Lettuce Wraps from Sweet Peas and Saffron looks so good!